﻿ Fab Fantasy Fiction: Review: Will an urbanite gallerist and a cynical soldier find small town love in Mariah Stewart’s On Sunset Beach? 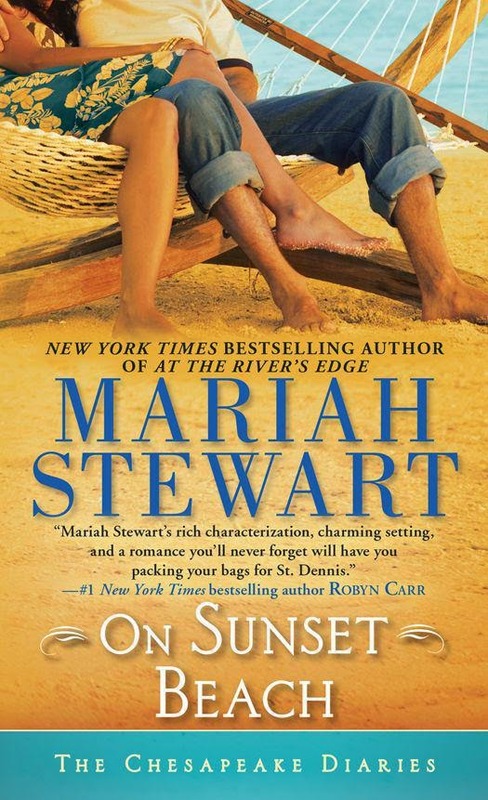 Review: Will an urbanite gallerist and a cynical soldier find small town love in Mariah Stewart’s On Sunset Beach? Combine the story of an art historian / gallerist who’s discovered a priceless cache of heretofore unknown paintings by an early-20th-century female artist, with the return of a disillusioned soldier, a hometown boy who’s served for too many years it seems as a support for UN Peacekeepers in a Central African country and you will have a bit of magic to read. 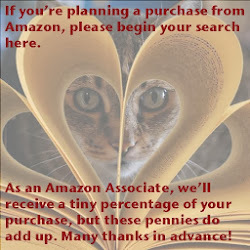 Yes, you guessed right, I’m describing On Sunset Beach, the newest book in Mariah Stewart’s The Chesapeake Diaries series and one that I couldn’t wait to read. I so enjoyed Stewart’s depiction of Carly Summit. It was all spot on and made me ever so wistful about not “using” my advanced degree in art history . . . but all the more appreciative of the realistic and sometimes hilarious descriptions of Carly’s life as a very well regarded gallerist, her research, and her curatorial work. Another reason I adored the character of Carly was that she's so unabashedly positive. She happily creates the finest lemonade from a serving of life’s lemons that might have other people tearing out their hair. In all probability, it is this positive energy that is the major draw for Ford’s troubled soul. A good life lesson for all of us to send out positive vibes, rather than dwelling in negativity - and some magic may occur. Yes, a bit of the “Law of Attraction” right here on the Chesapeake. But what is urbanite Carly doing in St. Dennis to begin with? In book seven, At the River's Edge, Carly and her BFF Ellie Ryder discovered a cache of Caroline Ellis’ paintings, that will be the focal point of the exhibition, in Ellie’s attic. Yes, Ellie is the great-great-granddaughter of Ellis. So many threads to weave the tapestry of The Chesapeake Diaries. So, that was first lemon handed to Carly - moving a groundbreaking and reputation enhancing exhibition from one of the art world’s capital cities to a small town on the Chesapeake. How does she deal? She grumbles for a moment than figures out a way to make it all work, from overseeing where on the estate the exhibition will be held to getting the art world's decision makers to attend. It's fascinating how she oversees how the space will be designed and making it art friendly (climate control, security, etc). Luckily Ellie’s fiancé Cameron has a construction company that will handle the remodel - and perhaps a certain ex-soldier might have a security expert friend to help too. Speaking of … Grace Sinclair’s son Ford returned after years away in a very needed, but soul-destroying, off-the-books military service in Central Africa. He won’t speak to anyone about his experience there, and really tries to avoid discussing his time away from St. Dennis, but does seem to find some peace in solo kayak trips on the Chesapeake. Ford eventually takes over some of Grace’s newspaper duties after an unexpected accident. His first assignment? To interview and profile Carly. Grace, the series’ namesake diarist, is in her seventies and is the owner and publisher of the local newspaper, who lives at the families’ five star Inn, and once in a while may use a bit of matchmaking magic to ensure friends and family pair off successfully. Her intuitive sense definitely went on the alert for a pairing of Carly (whom she just met) and Ford (who she senses is darkly troubled), but very little of her magic turns out to be needed. Really, they sparked from the moment they encounter one another in the Inn’s lobby in front of one of Carolina Ellis’ paintings. On Sunset Beach is the perfect book to read and savor on a mid-summer day. There’s just enough unresolved conflict surrounding Ford and Carly’s budding relationship to keep a reader crossing fingers till the last page is turned. Many of the well-beloved characters from the previous books have return engagements and once again Scoop is a favorite destination as is the new restaurant, Blossoms. That’s one of the things I love about this series - the very magical way Stewart weaves together all these characters and story lines and creates a town that I know if I drive about three hours south I’ll discover not the Chesapeake. Yes, she has that ability to embue her stories with such a realism that I’m sure there are readers looking for St. Dennis all the time. Isn’t that what every author seeks to accomplish? Just a perfect series! If you haven’t read the seven other books, Stewart does provide enough backstory in On Sunset Beach for this to be a very interesting standalone title. But I do think you’ll be swept up by a bit of Grace’s magic and will put The Cheseapeake Diaries on your must-read shelf. It’s just one of the most engaging small-town romances around.